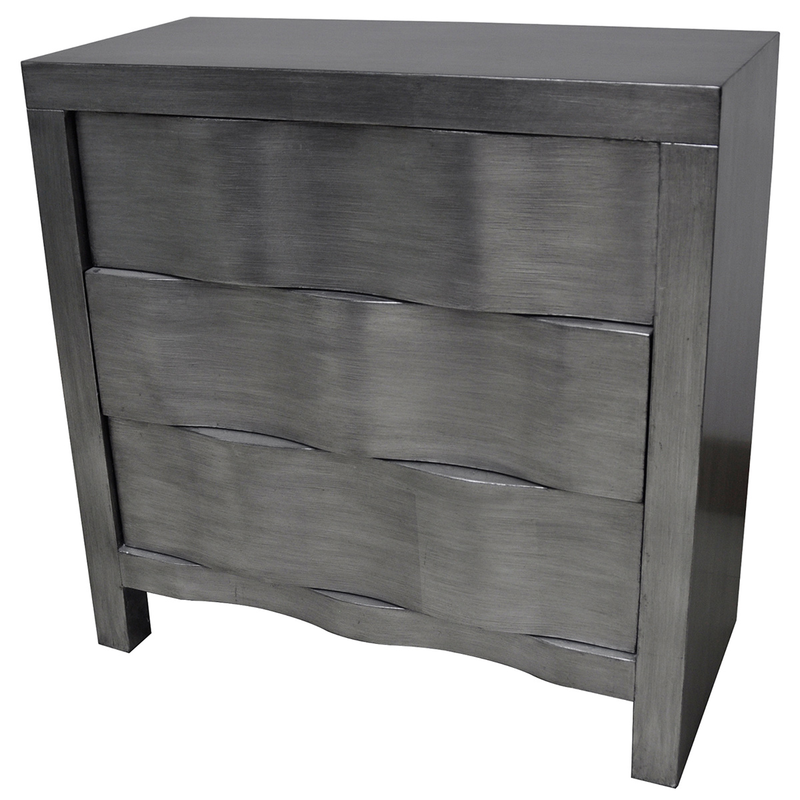 Give your bedroom a dose of ocean beauty with the Baxter 3 Drawer Brushed Silver Hidden Handle Chest. This chest features a fun wavy front in a brushed silver finish. Ships from the manufacturer. Allow 1 to 2 weeks. Cannot express ship this beach style furniture. For many more products, we ask you to spend some time to look at our thorough range of beach style cabinets at Bella Coastal Decor now.